A cyber war broke out between Azerbaijan and Iran. On 16 January 2012, Azerbaijani websites were attacked. Among the victims were official websites of the Interior Ministry, Constitutional Court, Ministry of Education, Ministry of Communications, State Custom Committee and the ruling Yeni party. The next day, Azerbaijan retaliated. On 16 January 2012, Azerian Cyber Army group attacked Azerbaijani websites of not only the state bodies but also news agencies: Trend News and AzerTaj – informs Azernews.az. On the hacked sites Azerian Cyber Army posted critical remarks on the Azerbaijan-Israel relations. On the official site of the ruling Yeni party, expressions offensive to the authorities were posted together with threats of the return of the Arab Spring to Azerbaijan. Photos with captions “servants of Jews” and “enemies of Islam” appeared on the majority of the websites. The very same day numerous websites in Israel were also attacked, including the official portal of El Al airline and stock exchange in Tel Aviv. According to the information of Regnum.ru, some of the hackers were based in Iran, judging by the IP numbers. 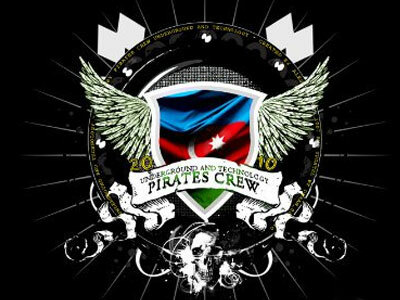 In retaliation, Azerbaijani Pirate Crew hacked around 40 Iranian websites and posted there the Azerbaijani flag with the caption: “20 January will not be forgotten”. The attackers assured that this was only the beginning and that they would continue their actions. It is not the first such action connected with the date of 20 January. On this day in 1990, the Soviet authorities led 35 thousand of Armenian soldiers to Azerbaijan in order to retain the communist rule in Baku. On 20 January 2009, a group of hackers from Azerbaijan attacked around 100 Armenian websites. Earlier, in 2007, there was a cyber war between Azerbaijani and Armenian hackers, which was reported by kavkaz-uzel portal. The so far only cold Azerbaijan-Iran relations are starting to be tense. Friendly meetings and talks, like in the photo from 17 November 2010, are now in the past. Eastbook.eu will follow the combat of the hackers from the enemy countries. Source: Azerbnews.az, regnum.ru ,,, kavkaz-uzel.ru , . Redaktor Naczelny portalu Eastbook.eu 2012-2014. Absolwent Instytutu Europeistyki na Wydziale Dziennikarstwa i Nauk Politycznych w Warszawie. Stypendysta programu LLP Erasmus na malowniczo brzmiącym Eötvös Loránd Tudományegyetem w Budapeszcie. Gdy się zorientował, że będzie kolejnym humanisto-politologiem, skręcił na Wschód i zaczął specjalizować się w tematyce Europy Wschodniej, Kaukazu i Azji Centralnej. Uwielbia podróże i koszykówkę. Nie przepada za operowaniem absolutami.